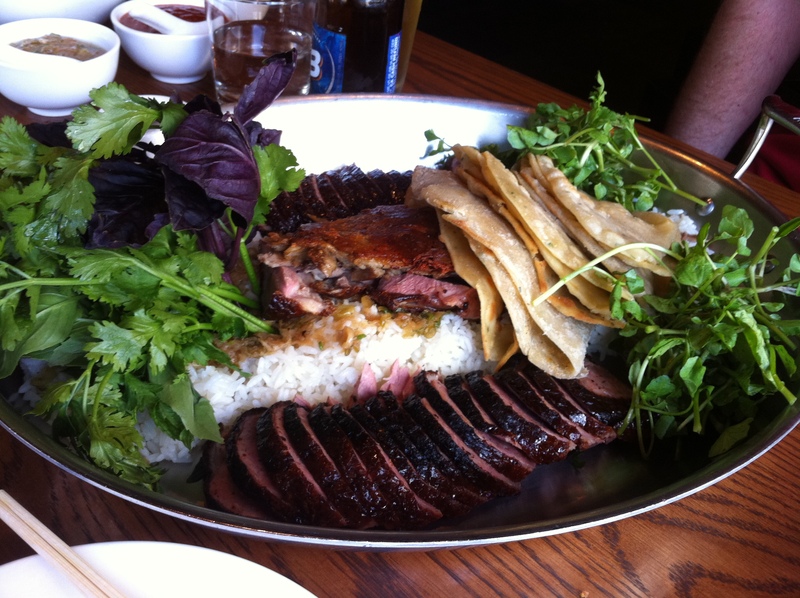 Momofuku Ssam – Whole Rotisserie Duck | 15,000kms of Food! We went to Momofuku Ssam Bar specifically for the rotisserie duck meal. The trek all the way downtown was well worth it as the meal was amazing and the service and atmosphere were great. 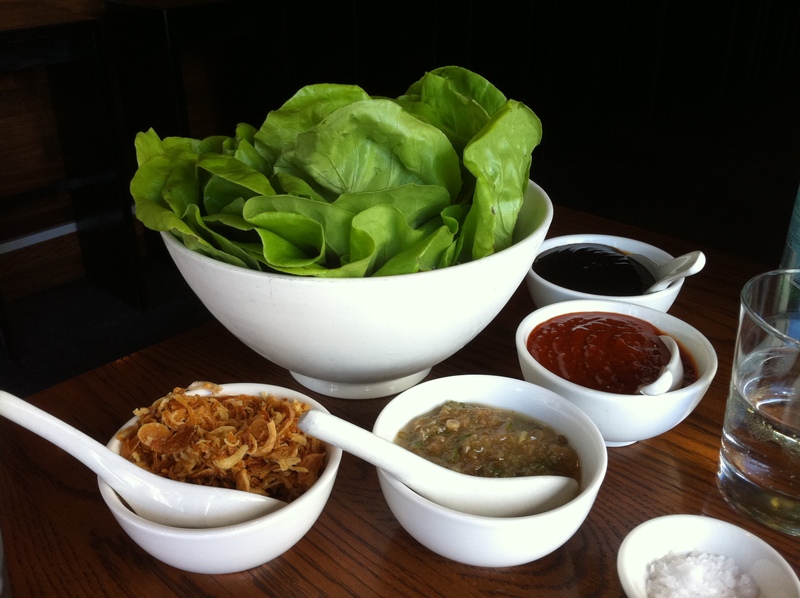 The duck meal is described as one of the “large format” meals, which meant that “the meal includes a whole rotisserie duck, chive pancakes, bibb lettuce, hoisin, duck scallion sauce, crispy shallots and a choice of two sides”. Not only is this a whole duck, it’s also stuffed with duck sausage under the skin before roasting… so it’s like a duck and a half! 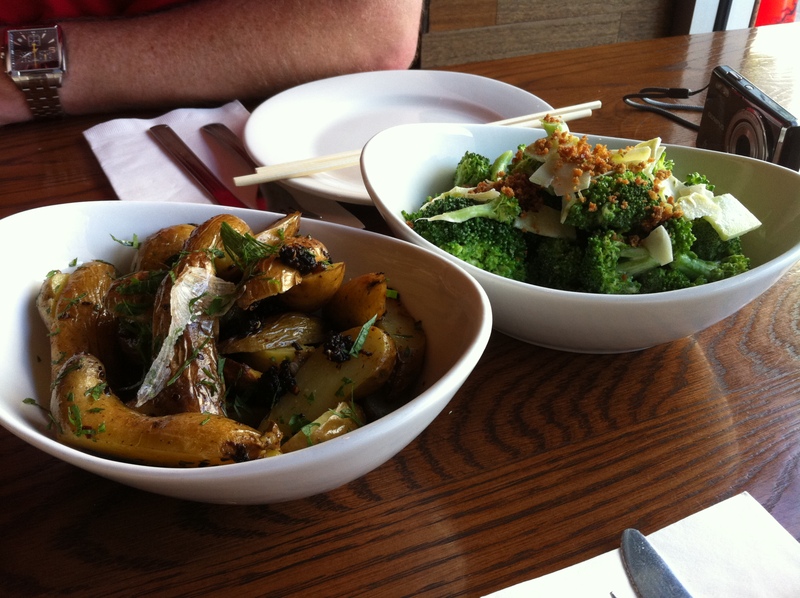 Sides we got were the spicy fingerling potatoes with chilli blackbean sauce and broccoli with xo sauce. Super yummy, super value, and yes if you try hard enough, 2 people can finish this meal. However, in the epic battle of duck vs Jaime… the duck won! Yep, I was unable to eat a meal for the next 3 days. I’m not sure what I was thinking when I booked this meal for 2 people… but I had to have it!